Birds spend an average of a third of their waking time preening and grooming themselves. 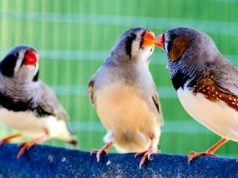 If they are flocking birds, as most pet birds are, they might groom each other, too. As long as they are not actively pulling out their feathers (a potentially-dangerous condition known as ‘French moult’), this self-grooming is a good thing. The down and contour feathers are essential defences against the weather and other hazards, and the flight feathers need to be in good shape for efficient flying. For most water birds, grooming also allows the animal to water-proof its coat so it can both keep warm in the water and avoid uncontrolled sinking. Keeping the bird’s home clean is your responsibility, however. This is a constant effort, as the cage should be cleaned every day and the surrounding area will need to be tended frequently. However, it doesn’t need to be difficult. A little preventative maintenance can work wonders. There are bird-baths made for use inside bird cages, and there are some made for use outside the cage. Choose one that is big enough for your bird to have a good splash, but not so big that he will have trouble getting out again. Most birds can’t swim. For waterfowl, which can swim, be sure to provide water that is deep enough to dunk their faces and necks, because this is how they clean their eyes and faces. For non-swimming birds, it is safest to provide baths only under supervision and use warm (not hot!) water. Be sure the bird has enough to time to dry off before bed-time, or he can get dangerously chilled. A little ‘mutual preening’ is nice, too. Scratch your bird with your fingers to imitate a mutual preen. Scratch against the lay of the feathers, though. Unlike a cat or dog, birds do not enjoy having their coats smoothed down against their bodies. Watch the bird’s body language while you scratch. Most birds have favourite scratchy spots, such as a cheek or the back of the head or under the wing. Some, such as cockatiels, dislike being touched on certain parts of their bodies. If the bird leans into a scratch, he probably likes it. If he tries to get away or opens his beak at your finger, he wants you to stop. Your bird’s droppings contain what is termed nitrogenous waste, just like yours do. When it breaks down, it releases ammonia into the air. Ammonia is not good for your bird’s lungs, or for your lungs, either. When you do a deep-down cleaning of the bird cage, move the birds into another room, in their carrying cage, until the ammonia has been aired out. 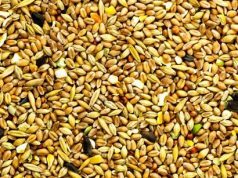 If there is a large amount of dried bird-dropping to clean up, there will be a strong ammonia smell by the time you’re finished. For your own sake, open a window or get a fan going while you work. The safest cleaning products to use for cleaning the cage and the toys are diluted vinegar and the various enzyme-based cleaners that are sold in pet stores and supermarkets. Enzyme-based cleaners go by such names as Nature’s Miracle, Poop-Off, and Poo-B-Gone. They all work on the same basis, using enzymes to break down the organic matter. If you have other pets or small children, you’ll find that these cleaners are also great for getting out other stains and odours from carpets. The food and water dishes need to be cleaned regularly. Dry pellet dispensers can be washed a couple times a week. Water and damp-food dishes should be washed twice a day. For nectar-eaters, wash the dishes every time the bird has been fed. You’ll also find that it is much easier if you have several dishes to change out, to avoid washing dishes several times a day. Any mild dish washing soap is suitable, and most bird dishes can be washed in a dishwasher, also. The short version here is: If you wouldn’t eat out of it, it’s too dirty to use for your pet bird. Don’t bother trying to litter-train a bird. It won’t work. 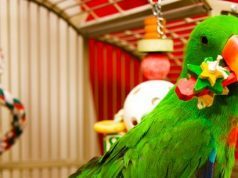 Some parrots have learned to poo by straining as hard as they can, because they’ve learned that they will be let out to play if they do their business in their cages, but this is not really a healthy thing for a parrot to attempt. 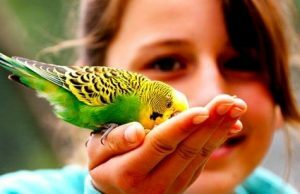 Most other kinds of pets birds don’t even have the physical capability of controlling when they go. Spreading newsprint or paper towels under the bird’s favourite perches will catch most of the droppings. This will, in turn, save your rugs and flooring. The cages for some types of birds (parrots and finches, mostly) have a tray under a wire floor. The tray can be pulled out. If you line the tray with paper towel or newsprint, most of the discarded food and most of the droppings will land on the paper. It will be easy to remove, and there is less scrubbing for you to do. Obviously, the paper method won’t work in an aviary or on the bottom of a cage with a solid floor. 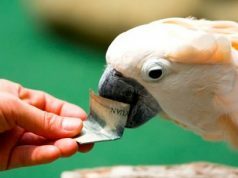 In this situation, the birds will simply pick at the paper, and are likely to make themselves sick. Solid floors simply need to be scrubbed. 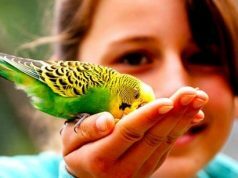 Cleanliness is important for the bird’s comfort and health, and also for your own comfort and health. 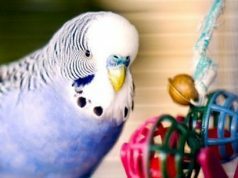 Ten or fifteen minutes a day will keep your bird cages clean. It will take more time for large aviaries and dovecotes. The effort is worth it, though, because the result is a healthier bird and a more comfortable you. 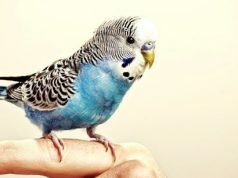 When it comes to birds as pets, you need to carefully consider your choices. Start by getting the right advice from the team at VetBabble.